One of the earliest questions that couples must deal with when going through a divorce is who will remain in the family home. This issue can become extremely contentious, as both spouses most likely have the right to remain in the home, especially if they are listed on the lease or mortgage. Fortunately, many couples can negotiate a resolution that is acceptable to both parties, in which one spouse leaves without court intervention. However, this is not always possible, in which case, one spouse can employ a number of different strategies to compel the other to relocate, or a judge can be asked to step in and make the decision. If you and your spouse have been unable to decide who will stay in the family home during the divorce proceedings, you should contact a divorce lawyer who can explain your legal options. What are a Spouse’s Options? Whether or not both spouses are listed on a lease or mortgage, they each have the right to remain in the home, as they are both residents. This means that the police cannot forcibly remove a spouse just because the other doesn’t want them to remain in the home. Similarly, changing the locks will only result in law enforcement ordering the other spouse to allow the other access. Compromise and working to come to an out-of-court agreement is usually the best, and the only way to get one spouse to leave the family home, although in some cases, it is possible to ask the court to order the other spouse to relocate. Endangerment of the child’s physical or psychological welfare. Even in these cases, obtaining a court order can be difficult, so divorcing spouses are strongly encouraged to retain an experienced divorce attorney who can help them come to an amicable, out-of-court agreement regarding possession of the home. 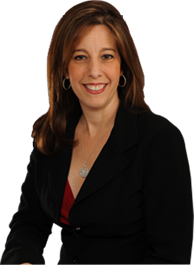 If you are going through a divorce and have concerns about who will retain the family home, please call dedicated Fort Lauderdale divorce attorney Sandra Bonfiglio, P.A. at 954-945-7591 for a free case evaluation.